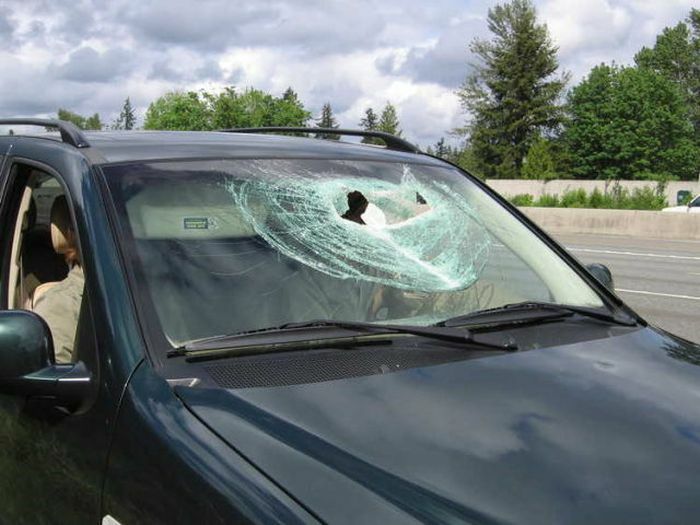 The incident happened on I-405 freeway in Kirkland, Washington. 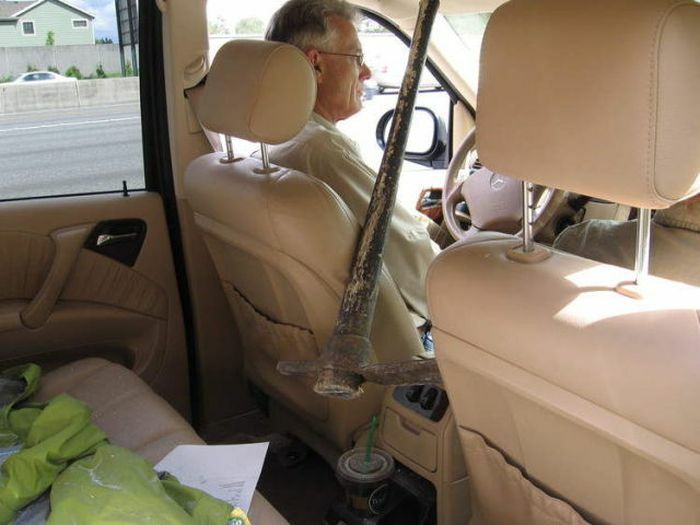 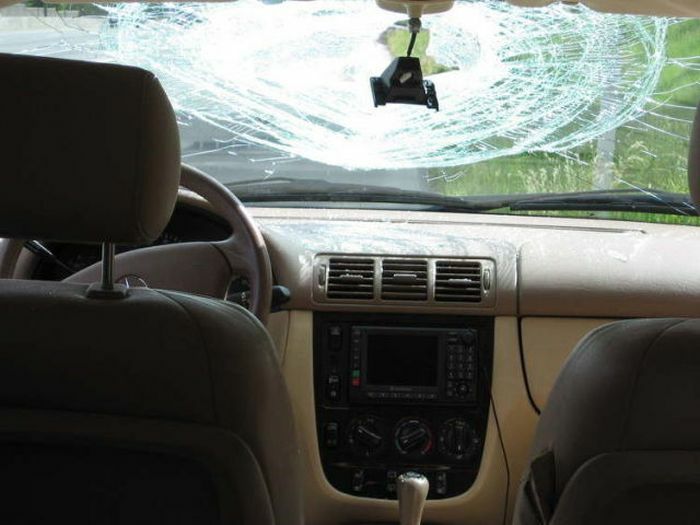 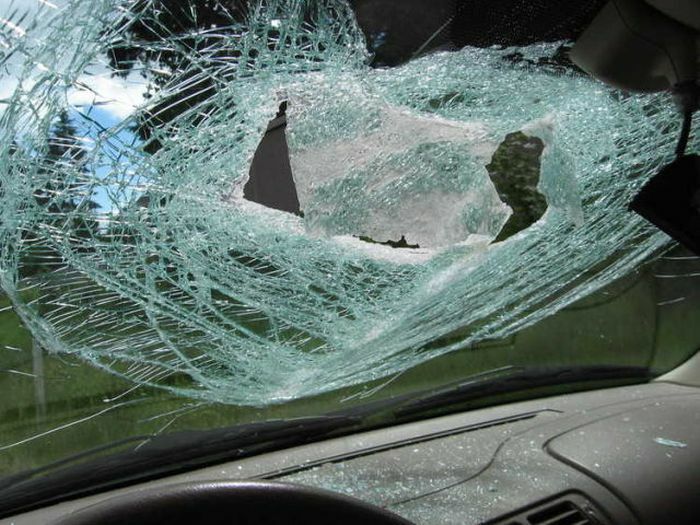 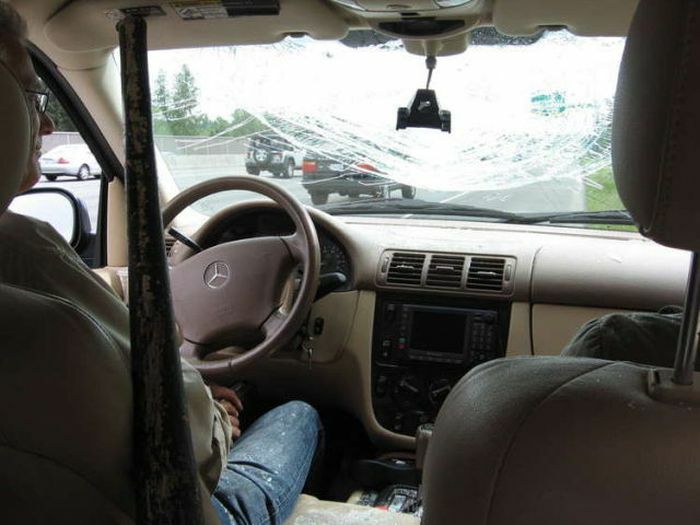 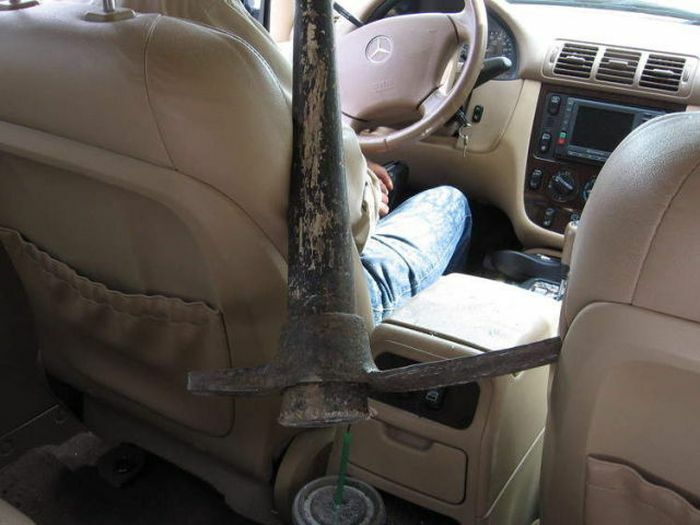 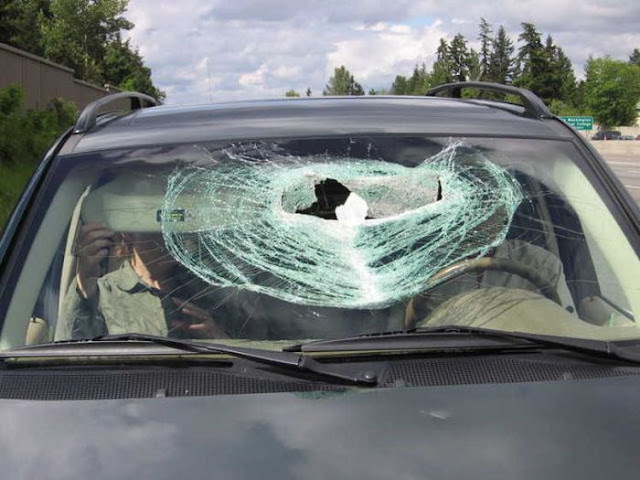 Pickaxe hurtled from the back of a pickup truck and smashed through the windshield of the car narrowly missing a couple of people driving inside it. 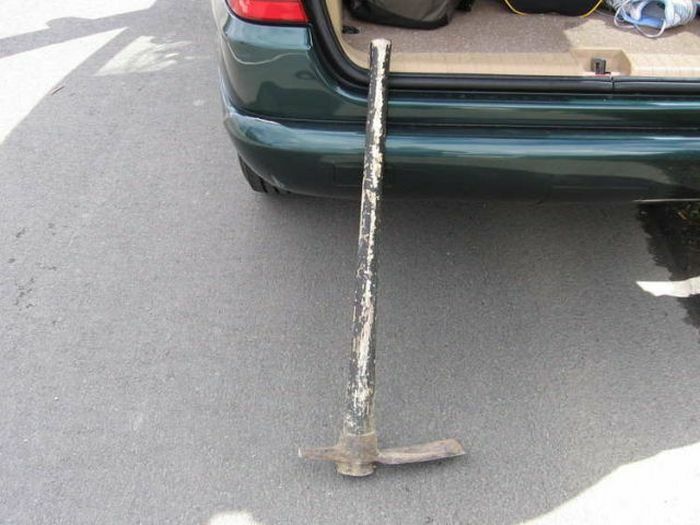 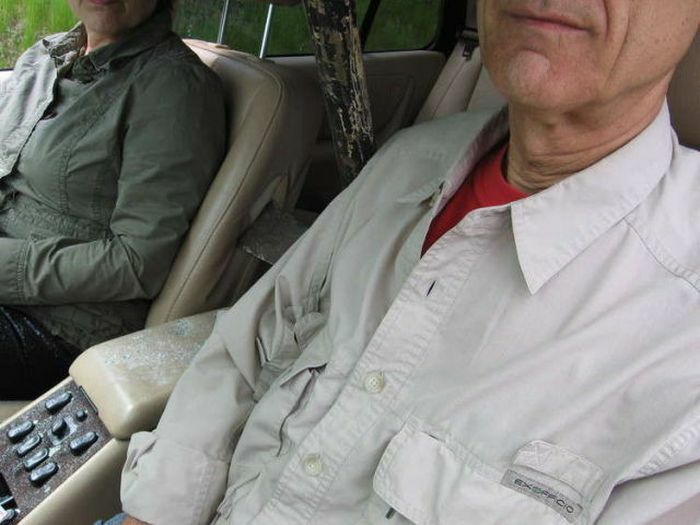 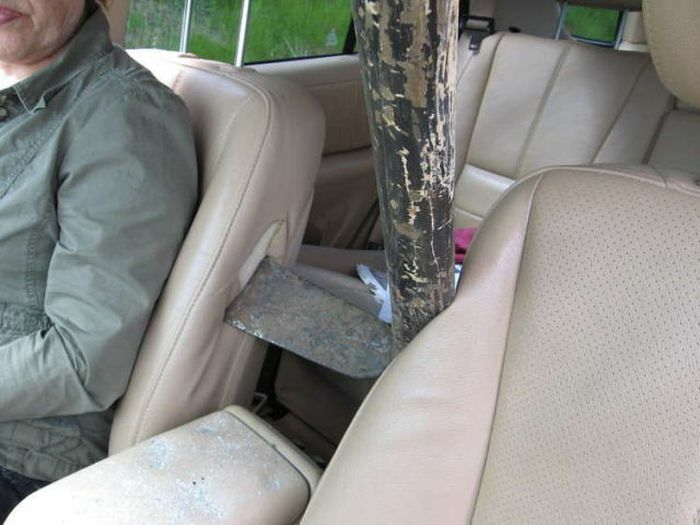 0 responses to "Lucky Couple Survived a Pickaxe Attack (10 pics)"